What About Your Quality of Life? 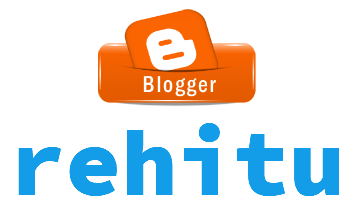 HomeNews From TurkeyWhat About Your Quality of Life? 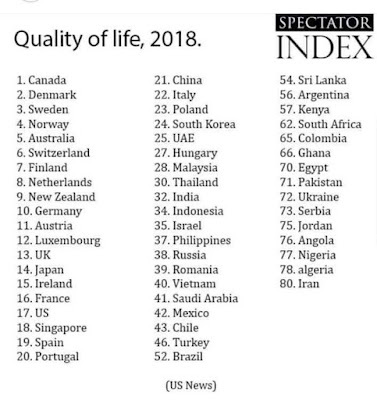 I came across a post in LinkedIn (If you are using LinkedIn please add me) which shows the quality of life according to the countries. I searched for my country Turkey and found it in 46th place. I want to share it with you also. Are you living in one of from above countries? How quality is your life? What is the "quality" of life according to you? Does it means "money", "luxury", "safety", "serenity" or what? This index made by Spectator Index. They mentioned below that they created this ranking according to US News. What do you think about this index? Is it true or false? Which country are you living in? Did you find your country here? As I said above I am from Turkey. We are in a difficult situation nowadays. Our money losing its' value according to Euro and USD. There is a big inflation. 1 person from 5 is unemployed. Interest rates are so high and no one knows what will happen after election. Yes there is a local election at the end of March. Everyone is living on one's nerve! No one is smiling. What about your country? Please comment about yourself and your country regarding this issue! Yes some countries are missing in this list however you can see Turkey above Brazil. Please look carefully. very interesting, I live in Canada. Safety is a concern here these days. I live in US. I see US is listed at #17. I think it is mostly good here, but we need work on our health care policies, and we need to work together more. Our country is so divided by politics. Every country is divided by politics Connie; you are so right! Mine is #28 in the list. Other than the politics, I say life is pretty good here. Malaysia is from one of the must-see countries for me! I think placing the UK at number 13 is too optimistic! We're sliding fast and I think we'll be much further down in a year or too. I would much rather live in France! 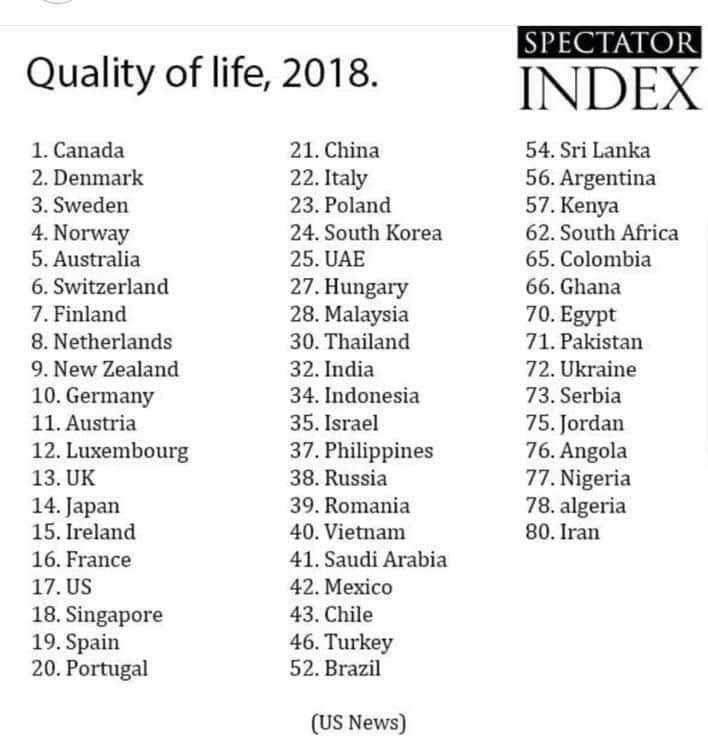 France is below UK in this list. Why did you prefer France?